In college, I had a wonderful art history teacher who believed that the best way to study great artists was to research their sketchbooks. We spent all our time looking for as many sketches and scribbles as we could find leading up to their great paintings. We rarely even bothered with the final pieces! It really opened my eyes to new artists I had never heard of before – artists I never thought I would appreciate as much as I do now. Sonia Delaunay is one of those artists that continues to inspire me.In particular, I love her abstract sketches and use of color. 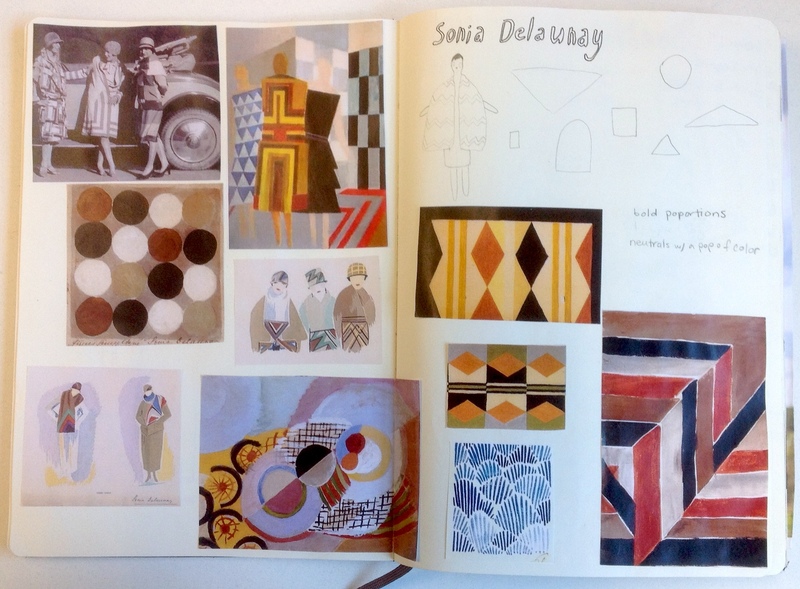 Sonia Delaunay and her husband, Robert, were leaders of the Orphism movement, an offshoot of Cubism. They made abstract work focusing on the movement of pure color. Sonia was a painter but made a successful career turning her painting into textile prints and apparel designs. 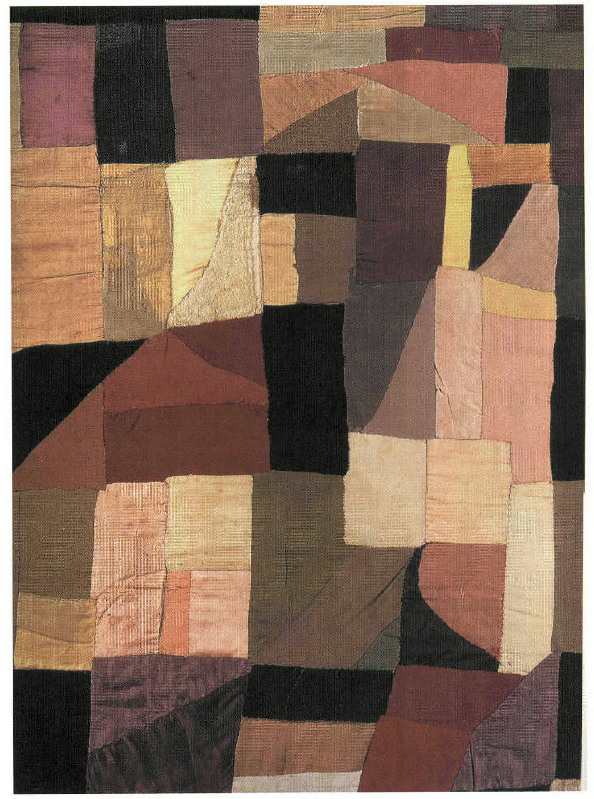 One of my favorite pieces she is known for is the quilt she made for her son that is now a part of the collection in the Musee National d’Art Moderne in Paris. Sonia Delaunay-Terk, Baby Quilt, 1912. Wool, silk, and fur. I love that something made with love and purpose is also considered a great work of art. I like believing what we make with our own hands holds such importance, even if it just stays in our homes with our families. Interesting perspective and one that I had not been aware of – thank you for sharing! And the sneak peak? That’s just plain evil! When do we get to view/purchase the final product? 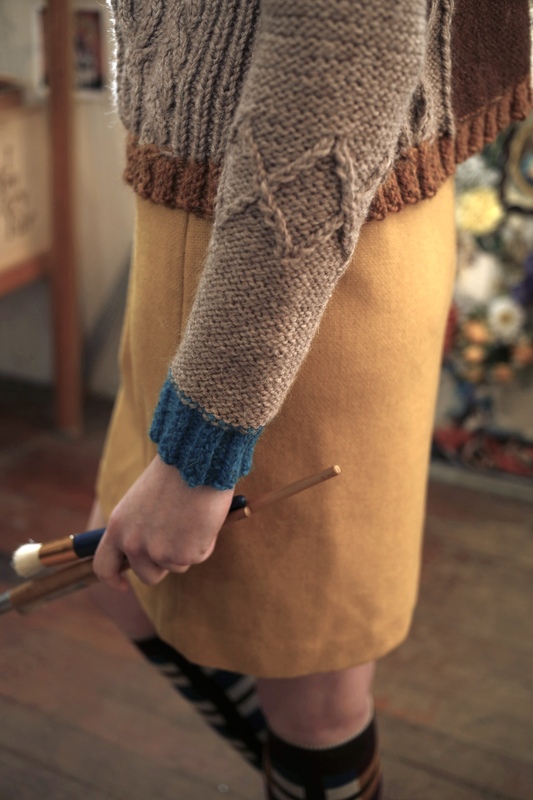 You will see the new collections sometime in June… in the meantime we can knit for spring! Hello! I simply would like to give you a huge thumbs up for your great info you have right here on this post. Thanks! I love sharing who or what is inspiring us here in the design office. Thanks for sharing! Really enjoy the Delaunay’s but Sonia in my opinion, is brighter and lighter than Robert and captures more joie de vivre. I remember that Verena Knitting published some patterns that were inspired from artists, but not Delaunay. Her works certainly inspire. Her work has such life! Thank you for sharing! Love this sneak peak sweater. I’ve looked at recent patterns you’ve released but can’t find it? What booklet is it in please? Glad you like it! These sweaters are in booklet #349 Ultra Alpaca Chunky: http://www.berroco.com/patterns/pattern-booklets/349-berroco-ultra-alpaca-chunky.